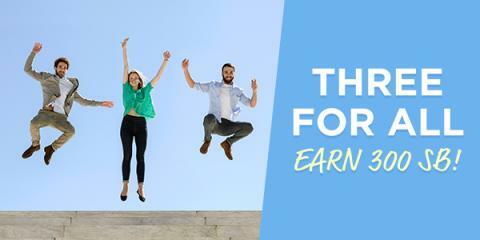 1.- Refer someone to Swagbucks between now and Sunday, June 7th. 2. - When your referral earns 300 SB by the end of the month (June 30th), You AND your referral BOTH get 300 SB each! 3. - The 300 SB Bonus will be credited to all eligible members on July 10th. Check out all the details here, then click on "Refer Friends" at the top of the screen to get started! If you or your friends need ideas on how to earn your 300 SB, check out my past Swagbucks posts here. If you start right now, you can have many of your Christmas gifts paid for with gift cards from Swagbucks!